Description. Chickpeas, also called garbanzo beans and gram, are regarded as beans, but botanically are neither beans nor peas. The chickpea is a tender annual legume, a bushy plant that grows to about 18 inches tall and has pairs of dark green, compound leaflets that look like vetch. 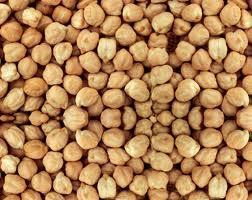 Chick peas have swollen, oblong pods to about 1 inch long and nearly as wide that contain one or two large, cream-colored, pea-like seeds each. Flowers may be white or violet colored depending on the variety. Yield. Grow 4 to 8 chickpeas plants per each household member. Site. Plant chickpeas in full sun. Chickpeas will grow in partial shade but the yield will be reduced. Grow chickpeas in loose, well-drained soil rich in organic matter. Add aged compost to planting beds in advance of planting. Avoid planting chickpeas where green manures have just grown or in soil high in nitrogen; this will result in green leafy growth, not seed production. Add potassium and phosphorus to the soil. Planting time. The chickpea is a cool-season annual that requires 100 or so days to reach harvest. Chickpeas are frost tolerant but grow best where daytime temperatures range between 70 and 80?? and where night time temperatures do not dip below 65??F. Sow chickpeas in the garden as early as 2 ro 3 weeks before the average last frost in spring. Chickpeas require a long growing season; to get a head start on the season, sow chickpeas indoors in a peat or paper pot and transplant the pot and plant whole to the garden when the plants are 3 to 4 inches tall. Planting and spacing. Sow chickpeas 1?? to 2 inches deep, spaced 3 to 6 inches apart. 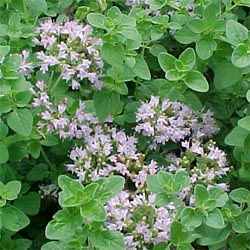 Thin successful plants to 6 inches apart; cut away thinned plants at soil level with scissors so as not to disturb roots. Space rows 18 to 24 inches apart. 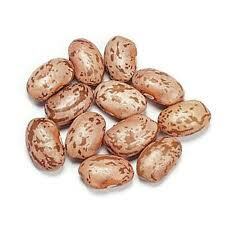 Do not soak seed before sowing and avoid heavy watering after sowing to keep seeds from cracking. Chickpeas allowed to grow a bit crowded will offer each other support. Water and feeding. Keep planting beds evenly moist until chickpeas have pushed through the soil. Water regularly during flowering and pod formation. Avoid overhead watering which can cause flowers and pods to fall off. Mulch when the weather warms to conserve soil moisture. Add aged compost to planting beds in advance of planting. Side dress chickpeas with aged compost at midseason. Avoid adding nitrogen-rich fertilizers to planting beds. Chickpeas, like other legumes, set up a mutual exchange with soil microorganisms called nitrogen-fixing bacteria to produce nitrogen compounds used by the plant. Companion plants. Potatoes, cucumbers, corn, strawberries, celery, summer savory. Do not plant chickpeas with Garlic.